Leelanau County is a peninsula located in the northwest, lower corner of Michigan – often time referred to as the little “pinky finger” of the mitten-shaped lower peninsula of the state. Sleeping Bear Dunes National Lakeshore, a unit of the National Park Service, is located on the west side of the peninsula and encompasses some 70,000 acres and 35 mile stretch of Lake Michigan’s eastern coastline including the Manitou Islands. The viewers of ABC’s Good Morning America voted the Sleeping Bear Dunes National Lakeshore the “Most Beautiful Place in America” in 2011. The Leelanau State Park is located at the northern most tip of the peninsula and is marked by the Grand Traverse Lighthouse. Grand Traverse Bay is on the east side and Traverse City is located at the base of the peninsula on the east side. Two sets of islands, North and South Manitou Islands and North and South Fox Islands, are located just north west and are a part of the county. 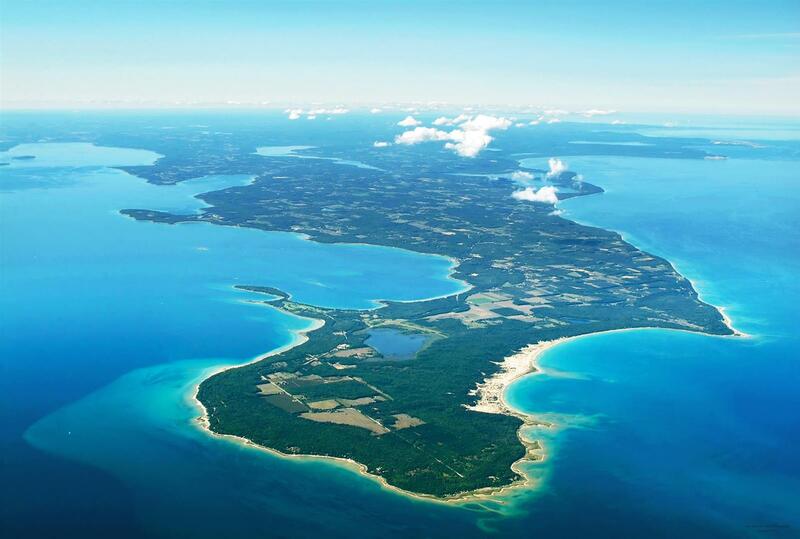 The Native Americans that first settled in Leelanau called the land “ke-ski-bi-ag”, which means “narrow body of water. The lake itself was called “lee-lan-au”, which means “delight of life”. An Indian agent, Henry Rowe Schoolcraft, is known for formally naming the county. He used the name “Leelinau” for some of the Native American women in his tales. The steep terrain and large bodies of water throughout the Leelanau peninsula create a milder micro-climate providing pleasant conditions in all seasons for year-round residents and visitors to enjoy while providing an optimum environment for framing (particularly fruit) and viticulture. Leelanau County is a highly desirable area to vacation and live. Residents and guests enjoy four seasons with a climate that is positively impacted by the surrounding Lake Michigan. The variety of inland lakes, trails, beaches and natural areas provide a great deal of recreation opportunities. Rolling terrain, quaint villages and naturally preserved areas support the ultimate in country living - fresh air, open spaces, and a slower pace of life. Who can resist? Traverse City, located within a 30 minute drive from the furthest point in the county, provides the nearest metropolitan area offering quality health care at Munson Medical Center, air service via Cherry Capital Airport, retail shopping centers, a vibrant downtown and multitude of employment opportunities. Visit here for more information on Traverse City. 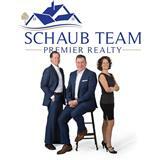 Schaub Team Premier Realty provides real estate services for buyers and sellers throughout northern Michigan, specializing in Leelanau County. Schaub Team has been recognized as one of the Top Realtors in Northern Michigan receiving accolades and awards, most recently in the, Traverse City Business News: 50 Hot Sellers. The exceptional customer service provided by the team is described over and again by the reviews and testimonials received. To see a sampling of the testimonials, visit here or Zillow Reviews for Tim and Roger. 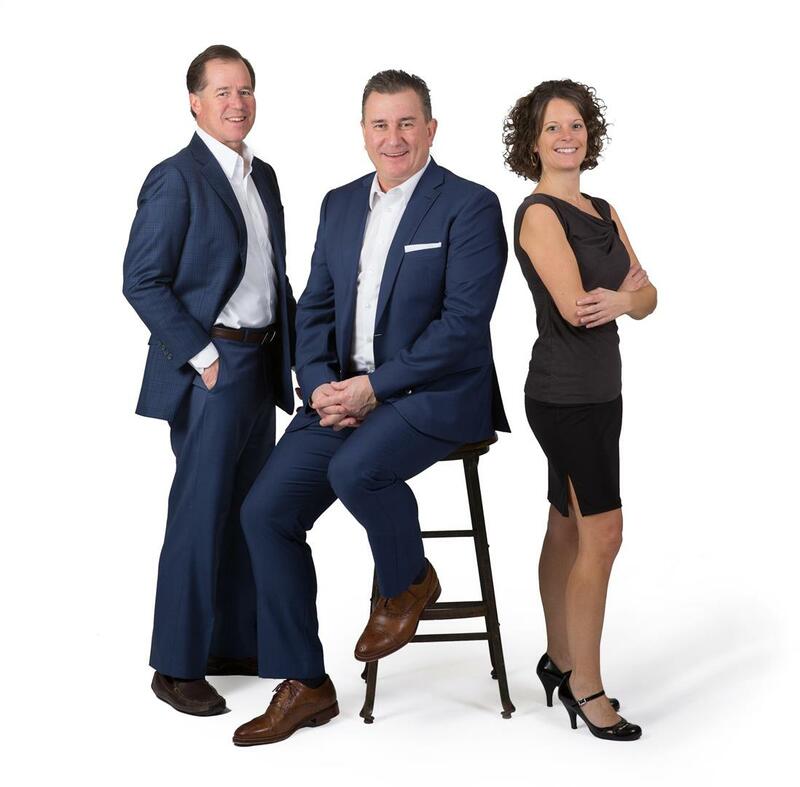 For more information about the Schaub Team, visit our profiles: Tim Schaub, Roger Schaub, and Melanie Schaub. We also have partnered with various people within our community to provide you with the best possible service we can. Click here for more information on our Business Partners. Michigan is blessed with four distinct seasons, all of which are special for their own reasons. Residents and guests enjoy an average temperature between 40-60 degrees in the spring. As the snow melts, flowers, leaks and mushrooms sprout while migratory birds make their way back for summer. Leisurely drives along the countryside will reveal cherry and apple blossoms. Other activities include: hiking, biking, bird watching, hunting for morel mushrooms, enjoy the under story of the forests covered with trillium and leeks. The unique location and abundance of fresh water and large lakes provide a micro-climate in Leelanau with comfortable summer temperatures that range between 75-90 degrees. Some of the favorite summer activities include: biking, fishing, hiking, swimming, boating, searching for Petoskey stone and sunbathing at the beaches, golfing, shopping, farm markets, cherry picking and much more! Fall marks the transition of summer into winter with a paint box of colors splashed throughout the rolling terrain of Leelanau. The average temperature is 50-60 degrees. Things to do in the fall: visit farm markets and orchards, hiking, biking, leaf peeping, gallery shopping and wine tasting. The microclimate of Leelanau that provides cooler summers also typically provides us with ideal conditions for lake effect snow to enjoy many outdoor activities. The average temperature is 0-30 degrees. Things to do in the winter: cross country ski, snowshoe, downhill ski, fat tire biking, enjoy a box office movie at local historical theaters, and cozy up by a fire with a hot chocolate or a glass of wine and good book. Leelanau County gets 33 inches of rain, on average, per year (that’s 6 inches less than the national average of 39 inches). In winter, Leelanau averages 127 inches of snow per year. Finding a quality education in Leelanau is not a problem either. Whether you are searching for a public or private school, there several located throughout the peninsula.